How are we doing? 😀 Well, things have been getting really hectic my side but I have no complaints. 🙂 I hope its the same with you! Coming to the post now. You guys know how I hate to be associated with one style and how I love to experiment. This blog post today shows exactly how you can break boundaries, break rules without overdoing it. It is for those who don’t like to experiment too much but still want to try new things in a subtle way. If you’re one of those, this post is tailor-made for you my love! And what rule are we breaking today? I mean, of course they are. But does that mean that you can always wear them in the most feminine ways possible? NO. First of all, a big thankyou for all the love that you all are continuously giving me! 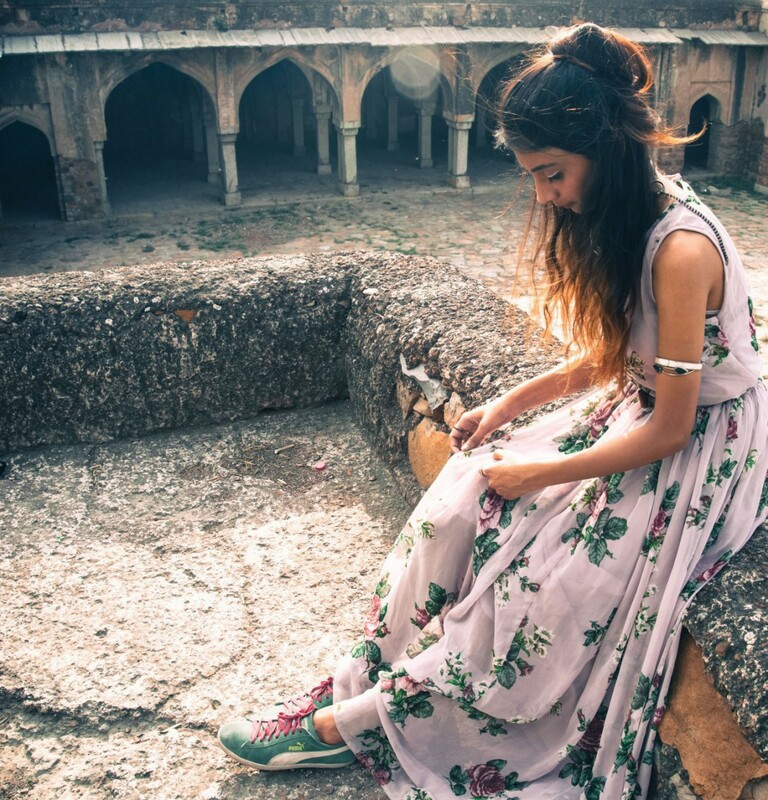 Now those who follow me on instagram know that I recently did a photoshoot at Neemrana Fort Palace, Rajasthan. I cannot express how excited I was to share the pictures with you all. The fort is heavenly. Trust me. Fort and Palaces have always been very fascinating as it is. Being there gives you a very royal and full of grandeur feeling! A special mention to the whole photography team who took these pictures. you will see for yourself just how amazing they are! They are called Visions Of An Earthen Pot. (link at the bottom).